San Diego homicide detectives Friday offered a $3,500 reward for public help to solve a 10-year-old shooting that claimed the life of a San Diego Mesa College student in the Emerald Hills area. 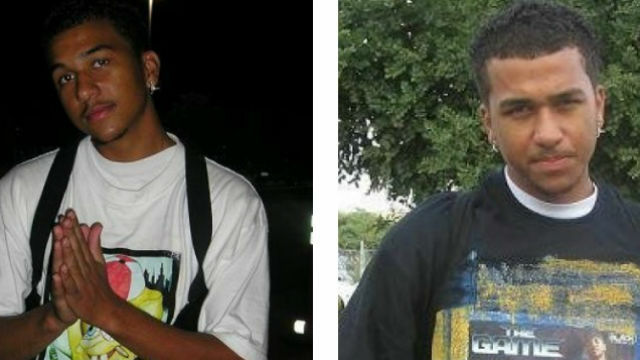 Darnell Smith, 20 at the time of his death, was gunned down shortly after midnight on June 15, 2008, in the 700 block of Pyramid Street, San Diego police homicide Lt. Matt Dobbs said. Smith had just parked his car and was walking toward his aunt’s house with several relatives when an unknown suspect approached them from behind and opened fire. “Smith was struck and died at the scene,” Dobbs said. The gunman fled in a vehicle believed to be a newer model black Ford Escape, or similar vehicle, with tinted windows. The shooting possibly involved gang members, but Smith was not a member of a gang himself, Dobbs told City News Service. He was a studying at Mesa College for a business administration degree at the time and worked at Cox Communications. San Diego County Crime Stoppers is offering the standard $1,000 reward for information leading to an arrest in the case, while Cox Communications has offered an additional $2,500 reward for help finding their employee’s killer. “This case could depend a lot on witness statements, but people aren’t wanting to come forward,” Dobbs said, adding that homicide detectives hope the increased reward money will lead to a tip that can break the case open. It’s possible Smith’s slaying may have been connected to a series of shootings within a few weeks of each other on Pyramid Street, Dobbs said, though for now, that’s based on circumstantial evidence only. Less than two weeks after Smith was shot dead, a man sitting in a parked vehicle in the 1000 block of Pyramid Street was fired upon. That man was unscathed by the bullets, but told police that the gunfire came from at least one of four men riding in a dark burgundy Ford Escape — the same type of vehicle mentioned in Smith’s killing. Dobbs said a third similar shooting also occurred in that area around the same time, though he emphasized that detectives can’t connect the shootings with certainty until witnesses come forward.